Here's a cute & fun worksheet for your writing & math center. 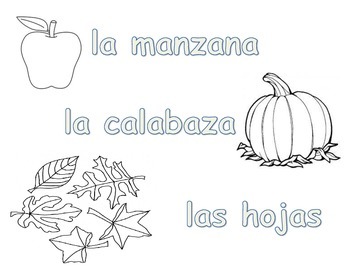 The kids can practice writing fall words (calabaza, manzana, & hojas) & coloring them. 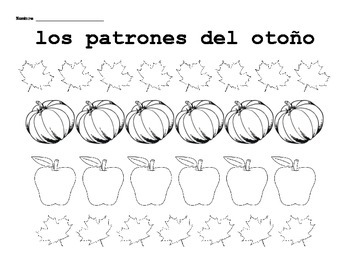 You can also use the fall pattern sheet in math centers or in a small group to help the students create patterns.